Restores dull, lifeless, parched hair with softness, elasticity, and shine. 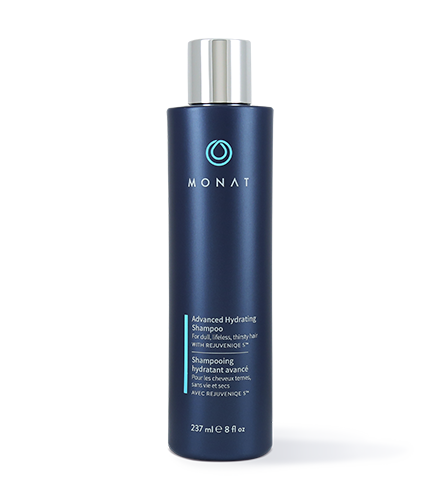 To learn more about Advanced Hydrating Shampoo, please contact your MONAT Market Partner. This sulfate-free shampoo is formulated to gently cleanse while instantly hydrating hair, delivering high performance results for improved manageability, bounce, body and magnificent shine. Instantly infuses parched, dehydrated hair with much needed moisture for hair that looks and feels healthier. Renews dehydrated hair with softness, elasticity, and shine. Infuses hair with intense hydration. Helps improve body and bounce. Can be used daily or as frequently as you normally shampoo. No-build-up, a plant-derived silicone alternative improves slip and manageability. Rinses away clean, won’t weigh hair down. 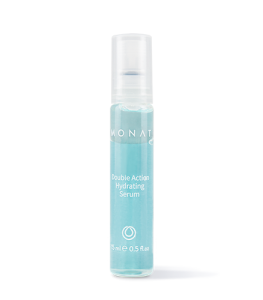 For optimal results, follow with MONAT Advanced Hydrating Conditioner. 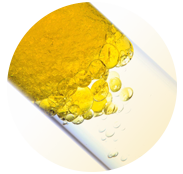 Aqua/ Water/ Eau, Lauramidopropyl Betaine, Sodium Cocoyl Isethionate, Sodium Lauroyl Methyl Isethionate, Glycerin, Glycol Distearate, Hydroethyl Diethylenetriamine Dioleamide/Palmitamide, Acrylates Copolymer, Isoamyl Laurate, Hydroxyethylcellulose, Sodium Hyaluronate, Limnanthes Alba (Meadowfoam) Seed Oil, Crambe Abyssinica Seed Oil, Camellia Oleifera Seed Oil, Solanum Lycopersicum (Tomato) Seed Oil, Daucus Carota Sativa (Carrot) Seed Oil, Citrus Limon (Lemon) Peel Oil, Citrus Aurantifolia (Lime) Oil, Citrus Aurantium Bergamia (Bergamot) Fruit Oil, Adansonia Digitata Oil, Mauritia Flexuosa Fruit Oil, Cocos Nucifera (Coconut) Oil, Gardenia Taitensis Flower Extract, Moringa Oleifera Seed Oil, Caryocar Brasiliense Fruit Oil, Helianthus Annuus (Sunflower) Seed Oil, Olea Europea (Olive) Fruit Oil, Simmondsia Chinensis (Jojoba) Seed Extract, Acetyl Tetrapeptide-3, Trifolium Pratense (Clover) Flower Extract, Pisum Sativum (Pea) Extract, Wheat Amino Acids, Soy Amino Acids, Arginine HCl, Threonine, Serine, Cinnamidopropyltrimonium Chloride, Algin, Pullulan, Behenyl Alcohol, Cetearyl Alcohol, Caprylyl Glycol, Dextran, Hydroxyethyl Cetearylamidopropyldimonium Chloride, Glyceryl Polyacrylate, Sodium Phytate, Trehalose, Urea, Polyquaternium-7, Pentylene Glycol, Disodium Phosphate, Potassium Phosphate, Citric Acid, Butylene Glycol, Fragrance/Parfum, Sodium Benzoate, Potassium Sorbate, Limonene.